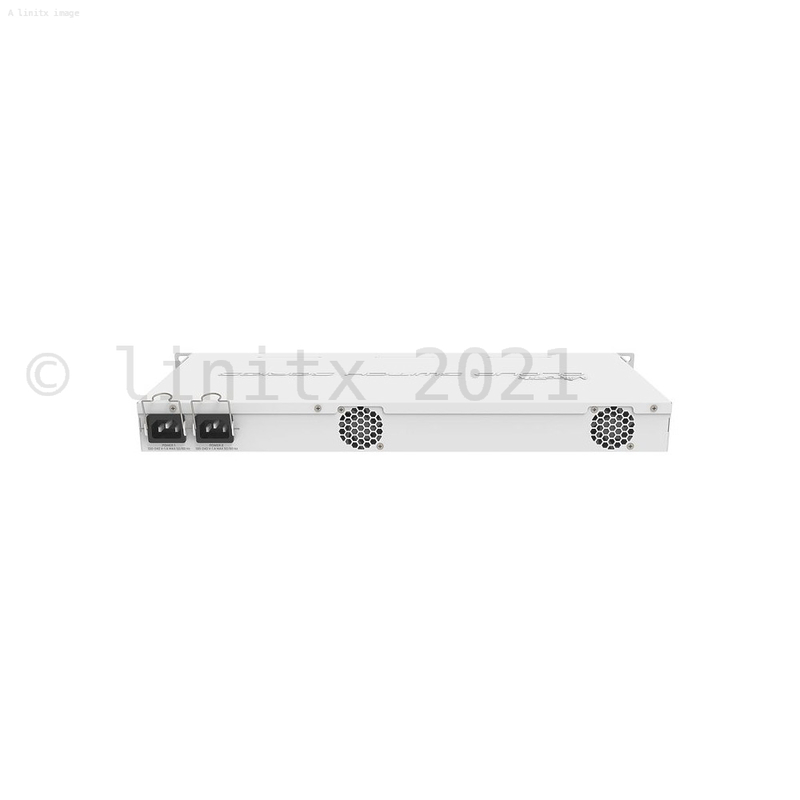 The MikroTik Cloud Router Switch - CRS328-4C-20S-4S+RM has 28 independent ports switch with a combo group. The CRS328-4C-20S-4S+RM features twenty SFP ports, four SFP+ ports for 10G modules and four combo ports. 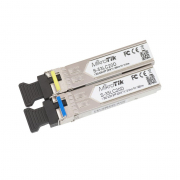 With Combo ports you can choose to use SFP or RJ45 ports from the combo group, these ports can also be software selected, so if you have all eight cables connected, you can use scripting to decide which four combo ports will be active. The CRS328-4C-20S-4S+RM comes in a 1U rackmount chassis with two 100-240V power supplies with fail-over functionality. A RJ45 console port is available for management and debugging and the mode button can be customised to execute any predefined RouterOS commands. 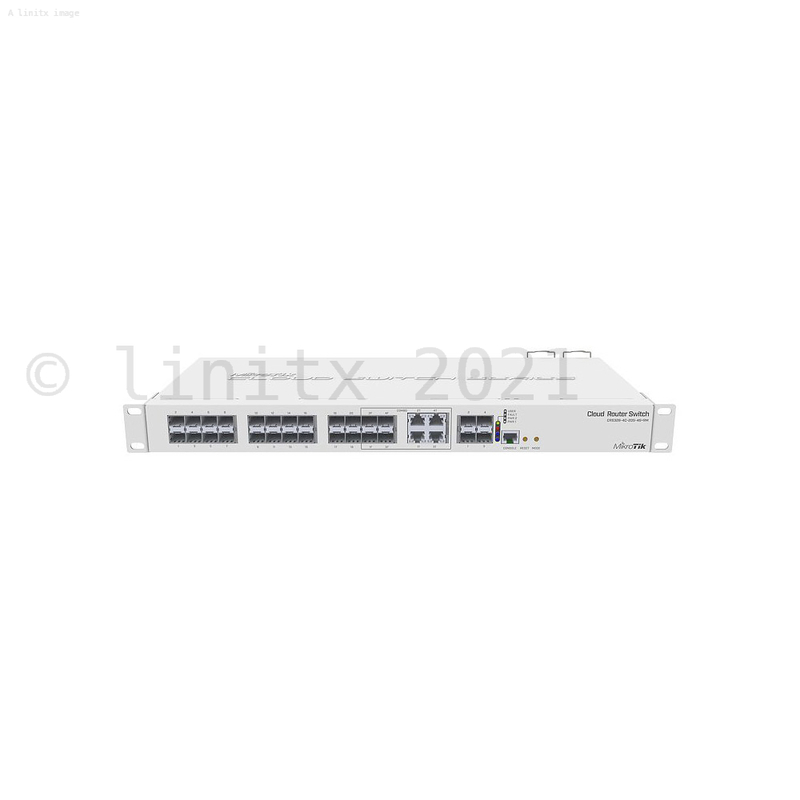 MikroTiks CRS328-4C-20S-4S+RM features "Dual boot" functionality that allows you to choose between two operating systems - SwOS or fully featured RouterOS.